5 Bedroom House For Sale in London for Asking Price £1,175,000. This fabulous 1930’s family home right is next to Tooting Bec Common and comes with an impressive 85 ft garden and off street parking. Situated in the popular Hyde Farm area of Balham, this property has everything a family could wish for and offers great potential to make the house your own. The large entrance hall leads on to a gorgeous double reception room with plenty of natural light, a breakfast room and kitchen to the rear with access out onto the wonderful garden with it's potting shed, storage room, two ponds and a summer house. Upstairs there are five bedrooms, two bathrooms and a separate toilet. From the garden there is a rear gate with the added bonus of a private drive and garage and with off street parking. Emmanuel Road is part of the Hyde Farm Estate, hugely sought after for its attractive period properties as well as its proximity to Tooting Bec Common and Balham. 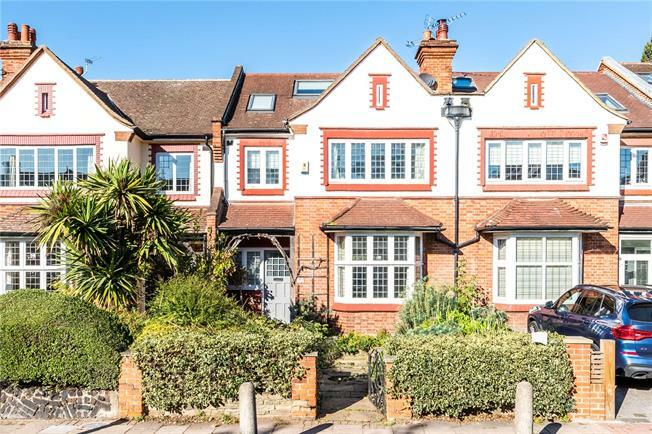 This property is well located for two outstanding state schools Telferscot and Henry Cavendish. Northern Line and overland trains provide excellent access to the City and Central London.